Know of something in Phuket that should get the right kind of attention from the right kind of people? Here's a list of offices tasked with receiving complaints from the public about corruption, encroachment and a host of other criminal social ills that plague this island. 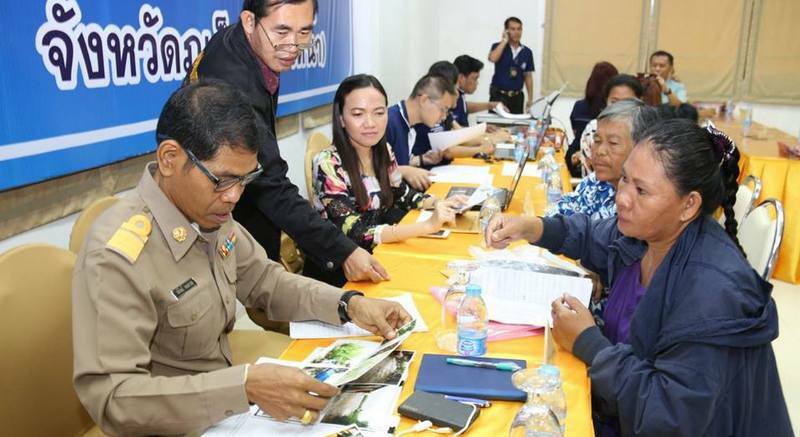 Officials at the Phuket office of the Damrongdhama Centre (Ombudsman’s Office) regularly receive complaints from the public. There is a big hotel construction project, comprising a three-storey building with 158 rooms, in a quiet area in Rawai with villas and it has many, many problems with it – small access, water issues etc. I want to present this project to the Army or other officials who could take action to fix the many problems with this project. Who do I contact and how? If you want to file a complaint with the Royal Thai Army in Phuket, you can call me directly at 094-3477151. The Army officers originally posted to Phuket have just been transferred as per normal rotation of duty, and my team has only just arrived here. We still have an office representing the National Council for Peace and Order (NCPO) at Phuket International Airport, but we no longer have our headquarters on Sakdidet Rd, and we are now looking for a new location to use as a base in Phuket. We will find new premises to rent as soon as possible. In the meantime, it is best to just call me. You can file a complaint directly with Rawai Municipality. Although there are many options that you have in filing complaints about such projects, eventually all officials will send your complaint back to our office. So the best way is for you to file your initial complaint with us because it is easy for us to investigate. We will investigate it. If you believe it is appropriate, you can file a complaint with the National Council for Peace and Order (NCPO). To do it by phone you can call the national 24-hour hotline “1111” it is still operating to receive public opinion, complaints and suggestions on reconciliation. You can also file a complaint via our “PSC 1111” mobile phone app, by post and through our website. The “PSC 1111” mobile phone app was launched on October 1, 2015 and can be downloaded through the Apple App Store and is available for Android devices through Google Play. After installing it, open the app, click the topic of your complaint, enter your complaint, click save and send. Please note that the app is in Thai language only. Complaints sent by post must be regarding allegations of corruption only. Just send your complaint in an envelope addressed to Post Office Box 1111. It will be sent directly to the NCPO in Bangkok; no stamp is needed. To file a complaint through our website, visit www.1111.go.th. This website is open for receiving complaints and suggestions on reconciliation. If you believe wrongdoing by an official may be involved in your complaint, you can file a complaint at the Damrongdhama Centre (Ombudsman’s Office), located on the first floor at the Phuket Provincial Hall compound on Narisorn Rd in Phuket Town. Jor12, You are mistaken. True, defamation is a civil offense in most civilized nations, but not in Thailand. And foreigners are certainly at risk for deportation upon conviction of criminal activity- which libel is. As for your assumptions on my moral code, your opinions are not facts. Jor12, I gave the relevant  chapters, and sections, be a good boy and do the same. But hey, criminal code overrides civil. Jor12,  NOTICE the wording "Thai CRIMINAL Law." Christy Sweet,if Thailand is only a banana-republic,why did you choose to live here?Did you choose it by looking at a idyllic postcard picture without having any knowledge of Thailand ,same as many of the other clowns here did?It is a free country here,nobody will stop you when you want to move back to your civilized country. Why has someone to report corruption of Phuket officials if the corruption is proven daily by itself. -- Illegal opening times of bars after 01:00AM ( Bangla rd Patong, Patak rd Chalong ) is only possible due to thai officials corruption. Many years!! Jor12, Thai defamation laws make it a risky venture to complain about..well, anything. Mr. Gov Official can sue you and then you'll face  deportation for "criminal" activity. This law is why the nation is a Mango Republic and will likely continue the descent into full-fledged Banana. Phuket corruption...if that is the case, why aren't you - and everyone else - reporting such "corruption"? That's the problem, it's easy to say, but if you do nothing then you accept it, so just don't bother. And who says "all Officials ...at the Ombudsman Office is corrupt?" Again just hot air. As the saying goes, either put up or shut up. Who says the NACC aren\\\'t corrupt? Also, please name 1 Thai police officer you know who isn\\\'t corrupt? Also, who says all Officials at the Phuket office of the Damrongdhama Centre (Ombudsman’s Office) aren\\\'t corrupt? Never file a complaint direct to Rawai officials. Better complain to the other mentioned officials first. Of course the will send the complain to Rawai Municipality, but they will check on Rawai to see how Rawai handles it. Who checks Rawai Municipality when you send your complain direct to them? Nobody! The police checkpoint between Patong & Kamala targets Foreigners and allows Thai's to go through unchecked. You can pay 15000 baht to get off if you are caught riding your motorbike drunk. They don't check Thai's, only Farung.